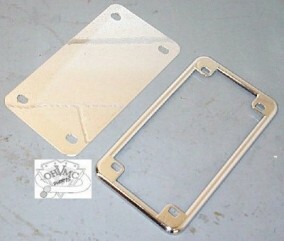 Heavy duty stamped steel chrome plated backing plate. Die cast chrome plated license plate border frame. These 2 accessories not only are appealing in looks, but they also prevent your tag from breaking from vibration by providing a stiff and stable tag mount.